IT WAS A VIDEO of an original song which first grabbed my attention, prompting this review of debut album Say Hello to You from 20-year-old British vocalist and guitarist Sarah Munro. Already having caught the ears of Jamie Cullum and Tom Robinson, Sarah has, to date, played Cheltenham Jazz Festival, opened for both Clare Teal and Jimmy Webb, and is due to continue to support soul artist Paul Carrack on his forthcoming 24-date UK tour. 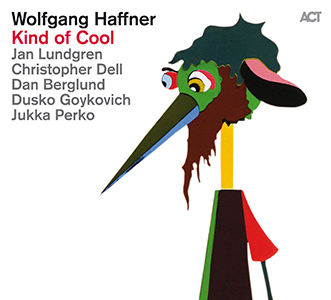 Melding gentle, folksy singer/songwriter pop and jazz, this first release relies substantially on keyboards and programming for its polished arrangements. However, it’s the promise of Munro’s sit-up-and-listen voice, her guitar-playing confidence and her maturity as a songwriter which suggests this is a name destined for success. Ten original tracks – plus an emotional rendition of Johnny Mercer’s Autumn Leaves – reveal the extent of Sarah Munro’s indubitable musicality; and flying in the face of reality TV and quick-fix fame, the control and passion she conveys through her silken voice is consistently magnetic. Opening numbers Say Hello to You and Fool Forever are delivered with impeccable poise and diction (oboe interludes redolent of Mike Batt’s chart hits), and Make It Your Own‘s country guitar is endearing, as is bossa-beat Crazy Game. Dreamily elegant Paint the World offers a hint of nostalgia (even a smidgen of ‘Whispering Grass’) thanks to the purity of Munro’s strings-backed vocal; and the memorable, melodic hooks of Lovebird and Goodbye Mr Moonlight feel effortless. Irish-inflected ballad Young Heart recalls Leo Sayer, whilst Little Sister‘s attractive, easy-going Hammond groove indicates why the artistic match with Paul Carrack must be so strong. Frequently this album’s unaffected simplicity veers into easy-listening, with smooth-jazz inflections (Katie Melua could be a parallel). But it’s imaginable that, one day, Sarah Munro might collaborate with a creative combo or lush big band (word has it that a Christmas single, with string arrangement, is due for release); and combining such a magical voice with her guitar fluency, she should surely rise to prominence. Oh… and that beautiful video performance – For Eternity. Released on 14 September 2016, Say Hello to You is available from Amazon. IN APRIL 2014, acclaimed British jazz pianist Frank Harrison launched his latest studio album, Lunaris – a work I described then as an “anthology of warmth, exploration, unpredictability and, ultimately, possessing an overriding sense of equanimity”, created with the new trio line-up of Dave Whitford (double bass) and Enzo Zirilli (drums). During each evening of the Lunaris launch tour, Harrison set up his own digital recorder to capture a personal record of their gigs. After replaying the session from The Verdict, Brighton, it was decided to release five of the extended tracks as a free download (or as a CD which includes an excellent ten-minute bonus number). The resulting Live at The Verdict album, Frank freely declares, is ‘lo-fi’ – but, once acclimatised to that sonic zone (which exudes the excitement of a live feed), it’s a beautiful account of the freedom and conviviality to be found in this trio’s live performances. The animation of Jerome Kern’s I’m Old Fashioned (from Lunaris) becomes enhanced in this setting, Harrison brightly improvising and then passing the baton to Whitford and Zirilli who, individually, are equal to the challenge, and appreciated by the audience. The ambience of this recording conjures memories of great jazz gigs we’ve been privileged to be a part of – the thrill of the unexpected, the marvelling of the very real musicianship unfolding before our eyes. Harrison’s own Flowing at Rest (from the Sideways album) enjoys the space to slowburn, with Whitford extemporising broadly and eloquently; and Fats Waller’s Jitterbug Waltz strides out to the easy-going pace of Whitford and Zirilli, with Harrison glittering (as he so often does) at the upper extremities of the piano before prompting a four-square percussive solo display from Zirilli – absolute magic! Cole Porter’s Everything I Love swings with unabashed abandon, an irresistibly cohesive display from the whole trio who intuitively track every next move, Harrison inviting deft solo explorations from his drummer; and jaunty, familiar standard Tea for Two is unusually reinterpreted as a restrained, ornamented ballad with glorious echoes of Oscar Peterson, Ray Brown and Ed Thigpen. Bonus track Autumn Leaves (recorded live in Oxford) appears as never before, introduced by a resonantly top-end percussive bass display from Whitford. ‘Name that tune’ contenders would struggle with this contemporary twist of the Joseph Kosma favourite – testament to Harrison’s spirit of retaining tradition yet imaginatively reinventing as, with clarity, he solos brightly and dextrously. This track alone is worth Harrison’s modest CD price tag, Zirilli’s toms working overtime and Whitford as nimble as ever. Evidence enough that this trio needs to be experienced ‘live’. 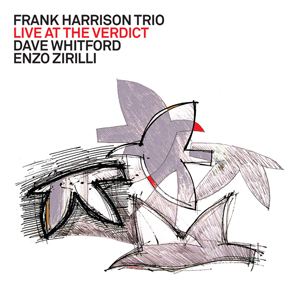 The Frank Harrison Trio’s Live at The Verdict is available as a free download or, for just £4.99, as a CD (with that bonus track). Just follow this link.